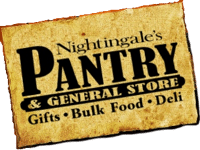 The Nightingale’s Pantry & General Store is conveniently located on Hwy 45 Alt just north of West Point, Mississippi. Stop on by and tell us hi! Give us a call or drop us a line — we aim to please you! Click or tap the pin below for driving directions.